Holiday decoration is one of the best things, along with family gatherings and spending time together with your closest people. But after the holiday we have to take down the decoration and sometimes it can be difficult to find a way to keep it until next year. 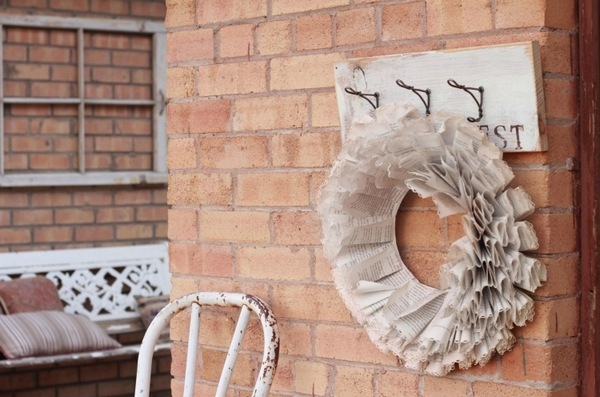 We have selected some creative, inexpensive and super cool wreath storage ideas which will help you keep them organized and safe until next year. Before storing your decor, it will be a good idea to discarding all chipped or broken pieces or items that you no longer want. You can donate or recycle old or not working decorations and keep only items that you love and what is really needed. Another useful tip for you is to avoid storing the pieces in their original packaging, as these can be super bulky and consequently take up more space. Separate your decorations for each holiday. 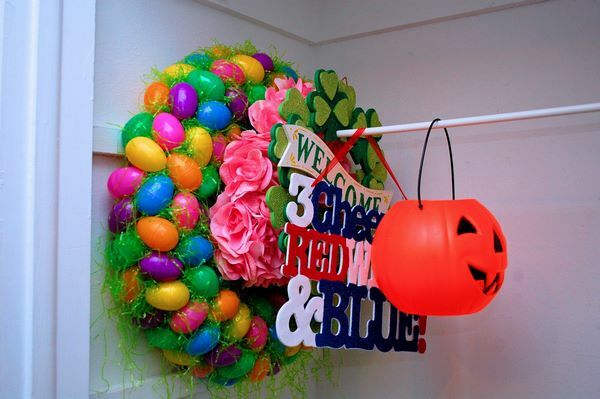 Make sure all your Easter, Halloween, Christmas or summer pieces and items are divided. 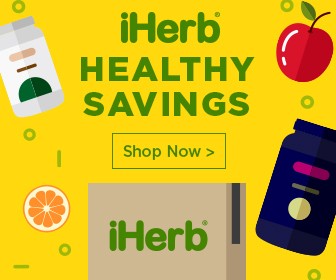 Invest in large boxes and containers and add labels, identifying what is stored in them so that you can quickly and easily find the decoration that you need. 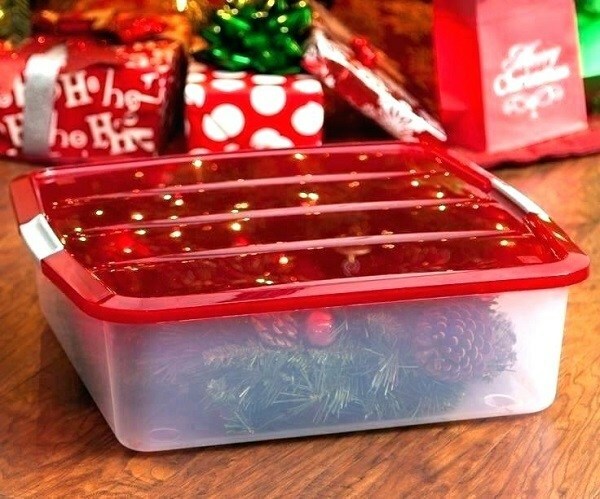 Many stores offer transparent plastic containers and besides the label you will easily see what is inside it. 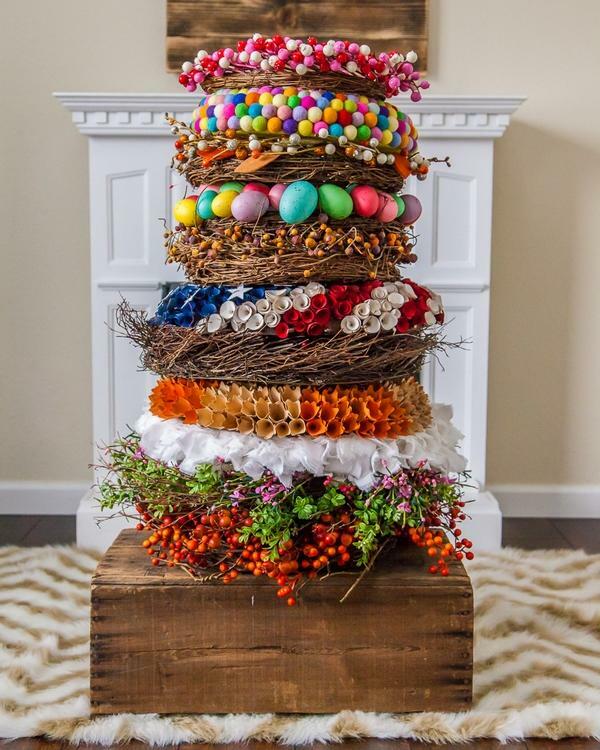 For example, you can use one container as wreath storage, another one for garlands or lights, you can use smaller boxes to arrange your Easter and Christmas tree ornaments by color, etc. Store your boxes and containers on shelves, cabinets, you can use the attic or the garage as a place to keep your containers and wait for future holidays. 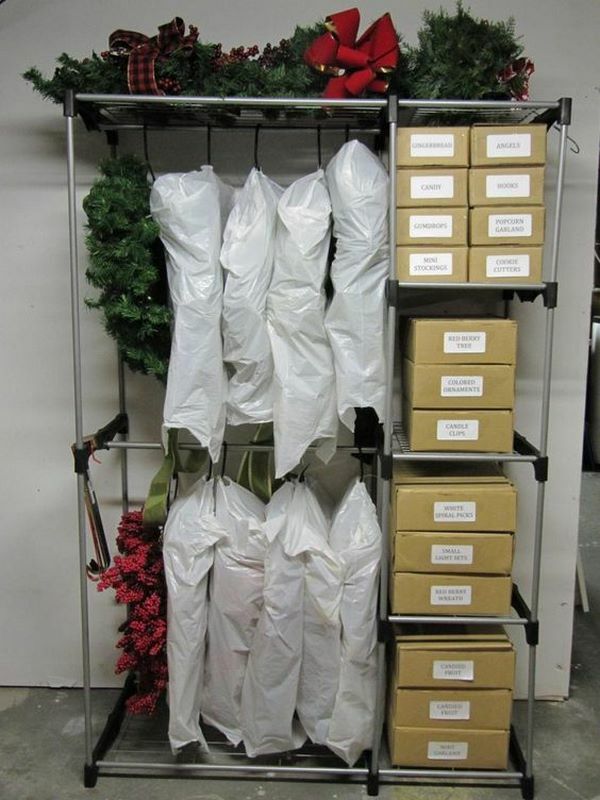 As good as boxes and containers are, they may not be the best choice for people who have limited space and need alternative wreath storage ideas. 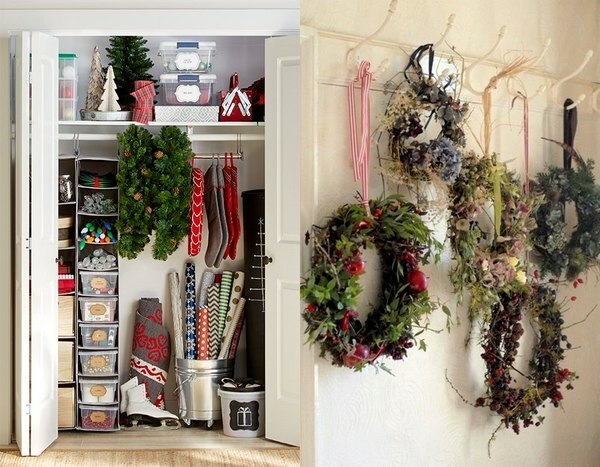 It is true, wreaths are large and require more space. In addition, you’d want them to keep their shape and protect them from dust, moisture, bugs or anything else that may damage them and ruin their appearance. Having in mind that wreaths, as well as garlands and Christmas stockings, are meant to be hung, this is the best way to store them, right? 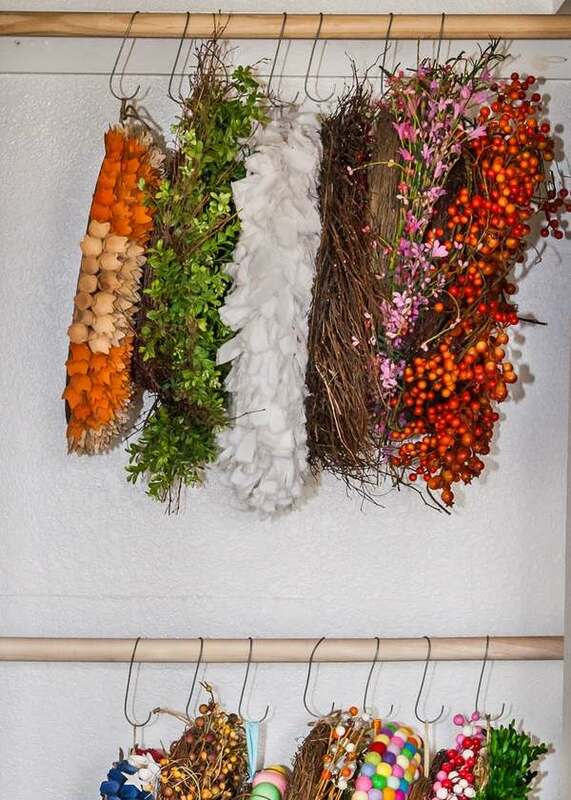 You can use an old clothes rack, if you have one available and place it in the corner of the garage or the attic. 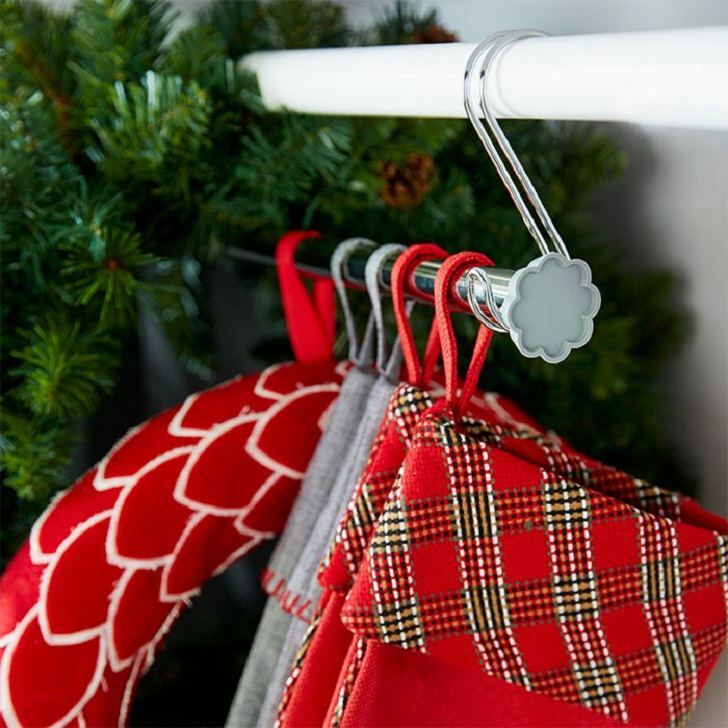 Another cheap option is to use an expandable hanging bar or craft a rod and hooks. 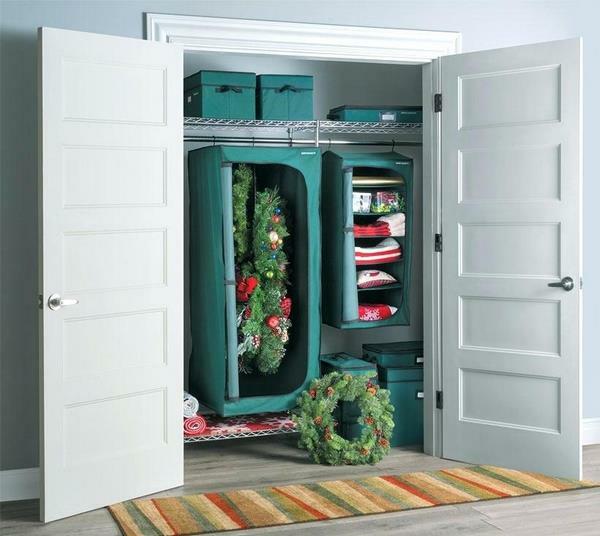 This will give you a lot of storage space and your wreaths will be arranged compactly. 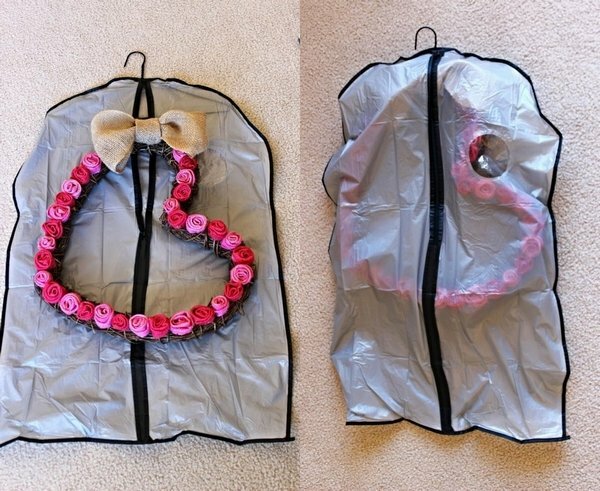 Just wrap the wreaths with dry cleaners bags to keep dust away. 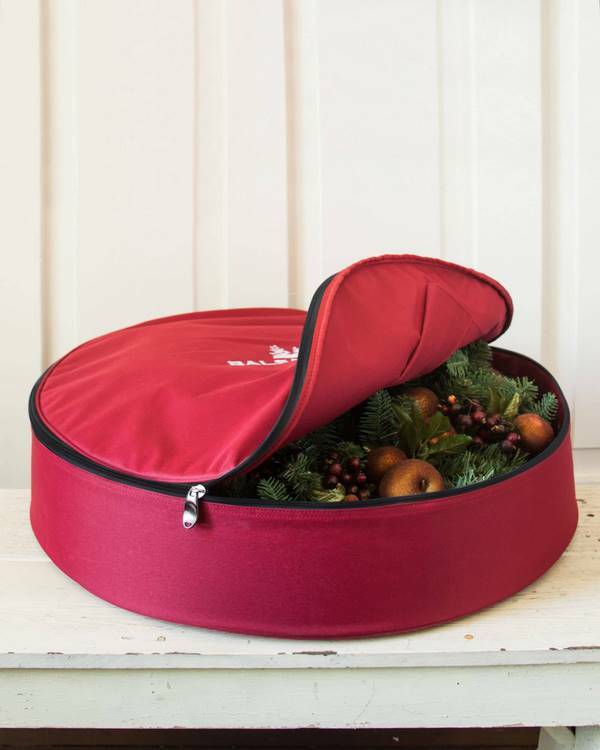 Look at the photos below for some really great wreath storage solutions! 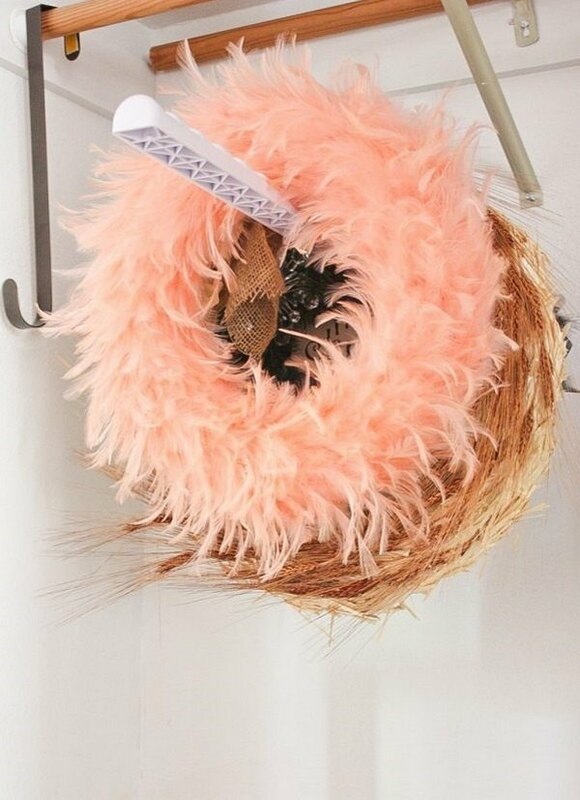 The post Super cool DIY wreath storage ideas to keep your decoration organized appeared first on Deavita Interior design and Architecture Magazine. Is this is the most tree-mendous house you’ve ever seen?